Last winter/early spring we started seriously talking about renovating our kitchen. I was never happy with our kitchen and we looked into many options- painting the cabinets (over $1000), cabinet refacing (which was like $12,000 just for new cabinet fronts) we looked into new cabinets (super expensive and none that I really liked) we looked into stock cabinets which are less expensive, but still none that I liked. And then one day we went into Ikea to buy some picture frames and were so impressed with their kitchens. So now some "before" pictures. I fail for these, I know! Christian had started tearing up the tile floor before I remembered to take a "before" so the kitchen is a mess and the table is pushed to the other side. But you get the idea. The tile is up in these pics, but at least it's not as cluttered. You can peek through the door and see our table and makeshift kitchen for what ended up being months!! This was the first week of May. Christian tore up the tile then the contractors came in one day and ripped out the cabinets. I said, "It looks better already!" Meanwhile, this was our garage. (Most) of our kitchen was in this huge stack of boxes. And after a few days this was our kitchen! Unfortunately this is how it stayed for a few weeks. We jumped the gun a bit when we got the first huge delivery of boxes. Because of the sale, many pieces were back ordered so those missing cabinet doors and drawers and lots of other things didn't come until late June. So we lived like this (with no kitchen) for 6 extra weeks that we really didn't need to. We should have waited for all of the boxes to arrive to begin. But in late June everything arrived and was installed. Then we had some problems with our granite and that was delayed so it was another few weeks without a kitchen. 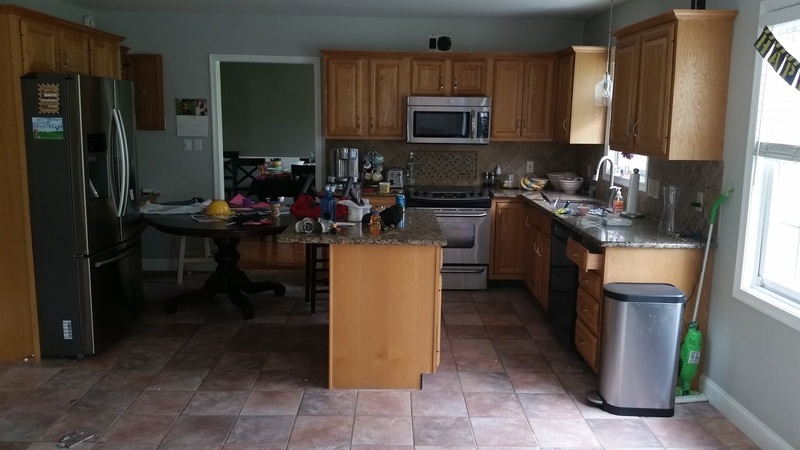 Eventually in mid July we got our granite and then Christian installed our floors and a few weeks later we had our subway tile back splash installed. 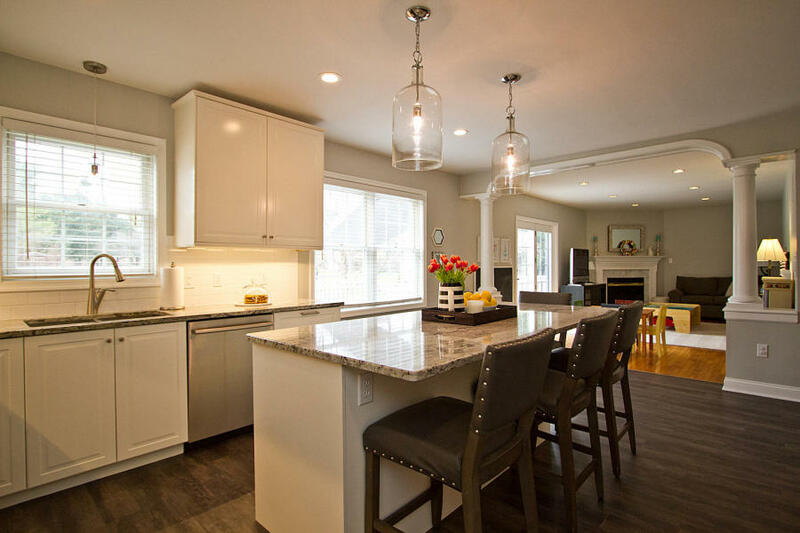 Then many months later we finally had the electrician come in and move our lights and install our pendants. The one major change that we didn't plan on until the cabinets were put together was that we added a third cabinet and extended our island. We decided to eliminate the table in the kitchen and instead eat at the island. What a huge difference that makes! I'm so glad we changed that! We went from having a few cabinets and a desk that was always covered in clutter to a wall of storage- cabinets and drawers! Our favorite part of our kitchen is all of the drawers. 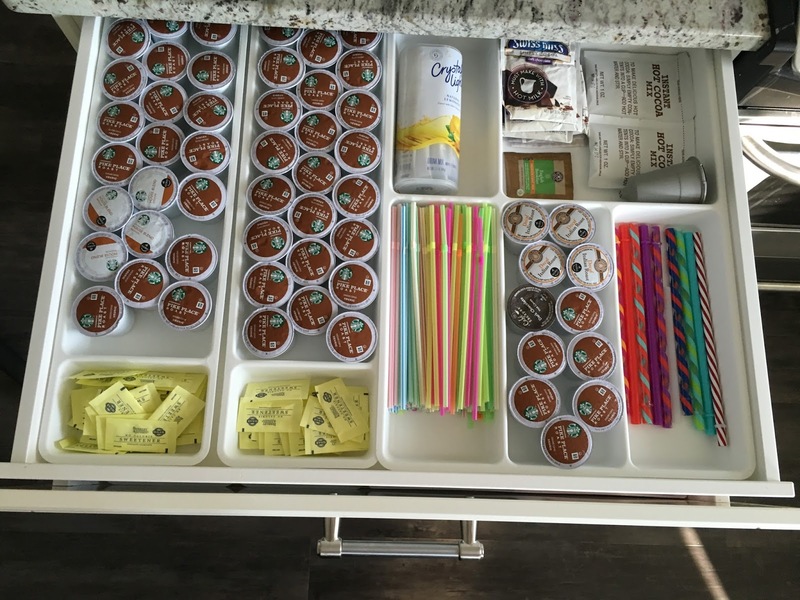 We designed it so that every top drawer has a drawer-within-a-drawer. 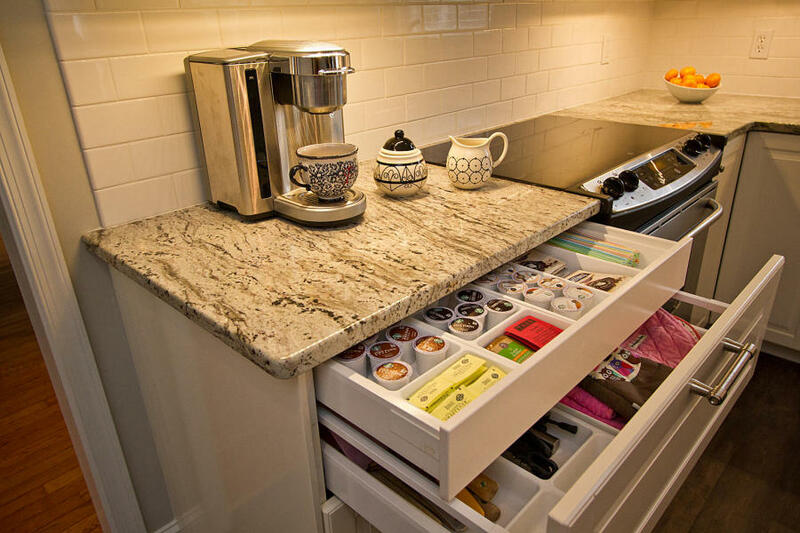 So this is our little coffee station above our cooking utensils and oven pads. After the kitchen was installed I went back to Ikea and stocked up on all of the drawer organizers. These plastic organizers ranged in price from $.99 to $9.99. All of our drawers have different organizers so nothing rolls around and stays put. This is our pantry of pull-out drawers. LOVE! Everything is soft close too, so the boys can pull out the drawers and close them too. When we first put everything away I labeled the drawers so we'd stay organized and we've never taken down those post-its. It works for us! 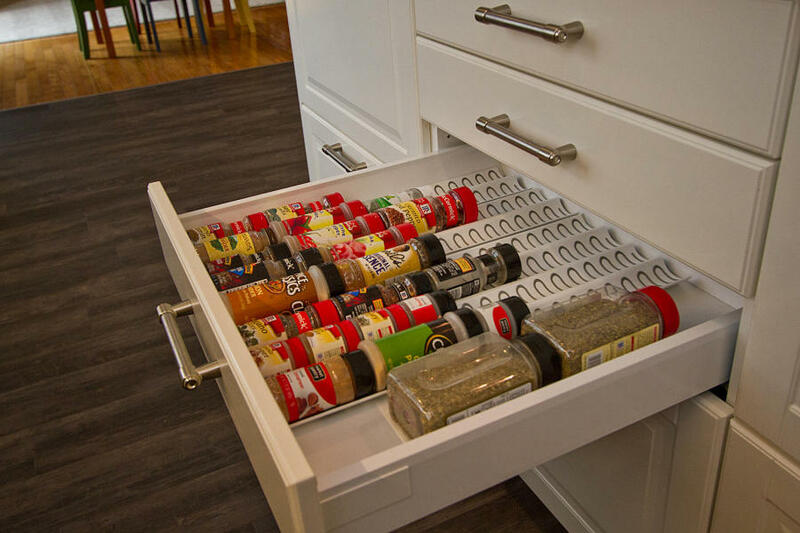 I love these spice organizers too. It's so easy to pick the spice you need and they don't roll all over the place. I did have them alphabetized but with a one year old who loves opening and emptying drawers I gave up on that for now! So the way it worked for us was that Christian went online and worked for many hours planning our kitchen on their kitchen designing tool. Then we went to the Ikea in Baltimore one day and met with THE most knowledgeable associate, Nick. He was awesome. He looked at Christian's plans and gave us some feedback and ideas. His advice was key to our kitchen working so well. Since we live in between the Philly and Baltimore Ikeas, unfortunately we were in a "dead" zone where neither Ikea would service us to install our kitchen. Boo! We paid a small delivery fee and all of the boxes were delivered, but it was up to us to install. 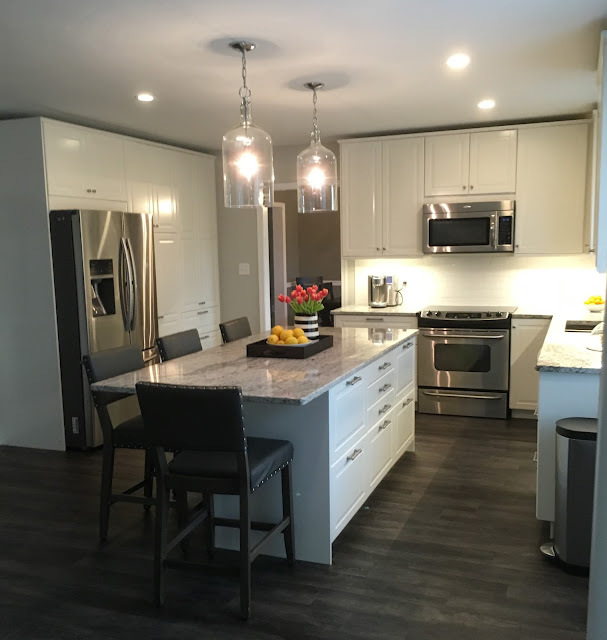 So we found a few local contractors who had previous experience installing Ikea kitchens and we hired one to put together everything and install it. If we waited until we had all the boxes it would have only taken a few days from start to finish. Lesson learned! Are we are crazy for doing all of this work and having this awesome kitchen and now moving? Absolutely. Our kitchen was by far the biggest selling point of our home. I wish we could take it with us! Our realtor asked if we would do another kitchen with Ikea in the future and we absolutely would. But we would do it all before we lived in the house, because I'm OVER living in a house while being renovated and not having a kitchen! The amount of storage we have now is crazy. We actually have empty cabinets and half-full drawers. 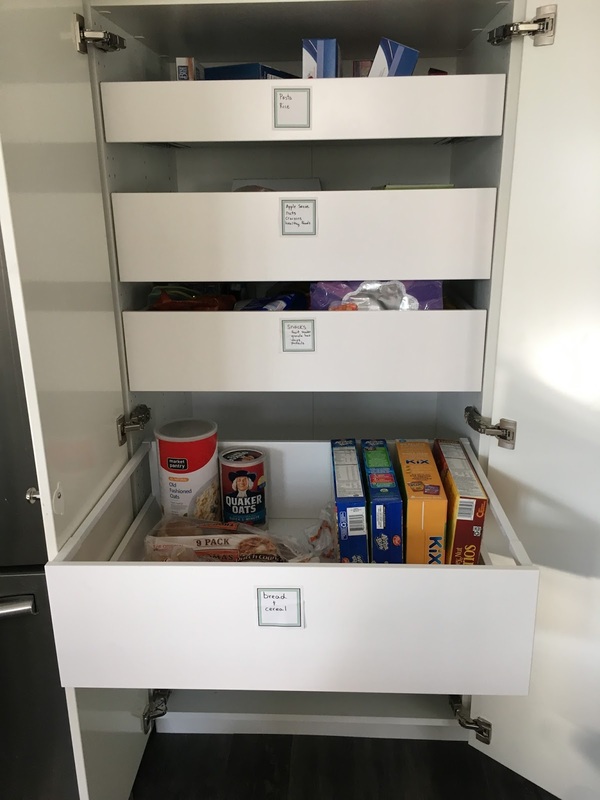 It's going to be a tough transition to go back to cabinets and a pantry where you reach your arm in the back and forget what you have back there and have to move things to reach what you want. We only have fabulous things to say about our Ikea Kitchen! I'd be happy to share if you have other questions too! PS - This post was not sponsored but contained affiliate links, which means if you clicked on an item and made a purchase I may receive a small commission. THANK YOU for reading and supporting my blog! Seriously this looks STUNNING! Now you have me wanting to re-do our kitchen. But, we just signed a contract to get the windows done in our house so a kitchen goes onto the back burner. Yours is gorgeous!!! The value you just added to your house is incredible! I am so happy to hear that IKEA was a great process. I didnt know they would come and install as well! I am definitely saving this for future reference! Just gorgeous! I love the organizing dividers & that spice drawer is perfect! I wish our IKEA was closer because Luke & I would love to redo our kitchen with IKEA products. Unfortunately, it is a little over an hour away. 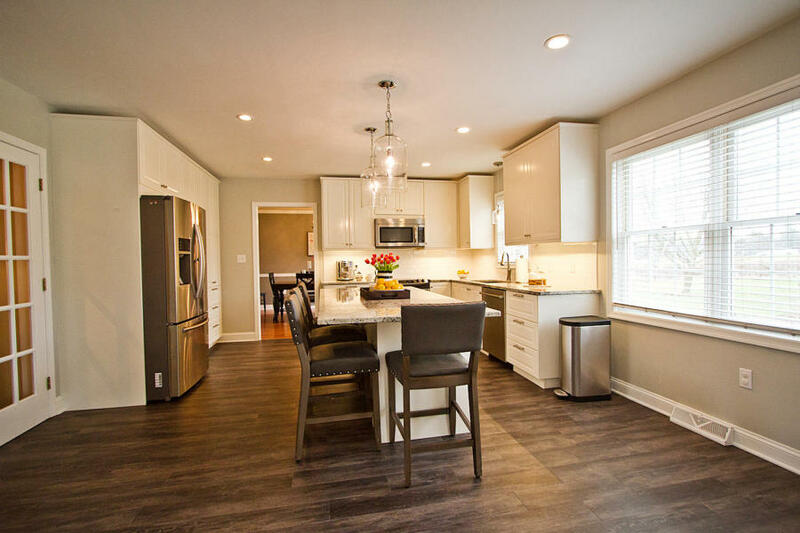 Oh my goodness, your new kitchen is just gorgeous! I love it all! You seriously have my dream kitchen! Wow! I am a veteran of three complete kitchen renovations, and I am totally impressed by what you did with yours. My kitchen has a U-shaped layout, so these instructions will help me know a few tips for renovating it. 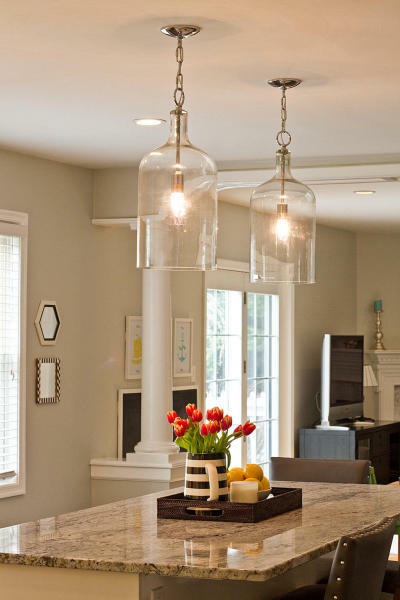 You're right about how the kitchen island can make for a good buffet style dinner. Perhaps I should keep it and repaint my cabinets and add new flooring to make it look more modern. Thanks for posting this! The kitchen looks so amazing. After seeing your blog, I am also planning to do renovations to my living room. Wow! 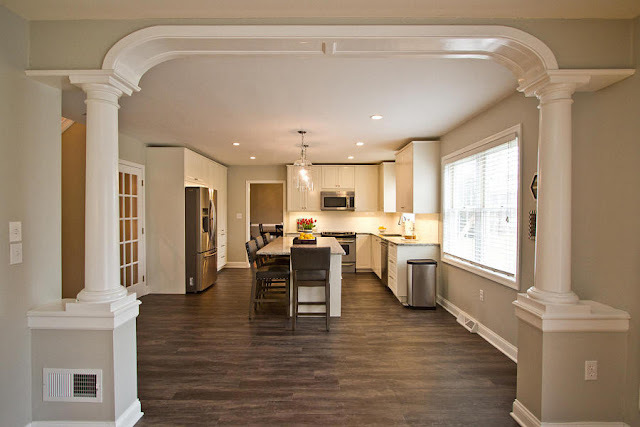 I never imagined that a single renovation can transform the entire space. Earlier, I thought that we need to change the space and dimensions before doing any kind of renovations. I was worried of moving in a damaged home after a long time, so I called the most trusted Pretoria Builders for assistance. 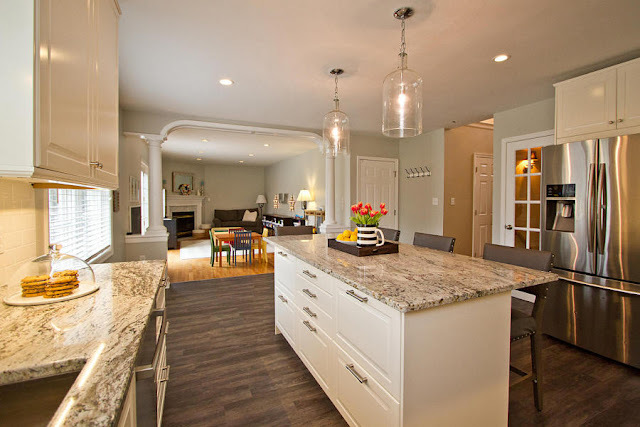 I would rate as an excellent team of professionals that helped repairing and renovating my farmhouse and restored its beauty in a short duration. Although it is a little less expensive than the slate, we would still have to keep replacing broken ones every once in a while....and that just didn't sound like a good idea. 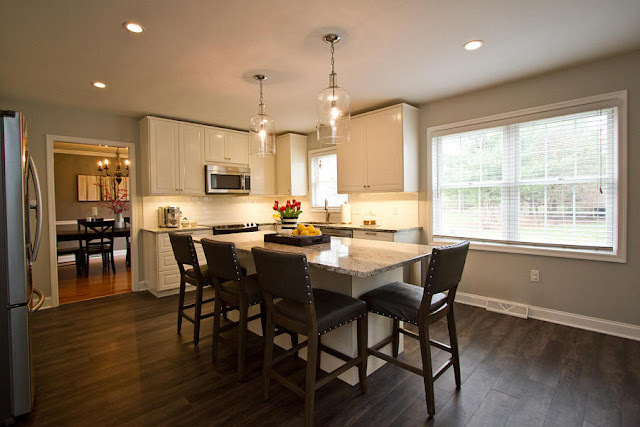 Such an amazing blog about the kitchen remodeling and I really appreciate you work which you have done well. Hi there, I just wanted to say thanks for this informative post here about the patio furniture can you please allow me to post it on my blog? Thanks for the post. I am very glad after ready and get useful information about the remodeling kitchens from your blog. Very informative article which is about the garden furniture and i must bookmark it, keep posting interesting articles. Hello there! I can see you have a beautiful kitchen, but you know what could improve it? - http://thehomeexpert.uk/offer/kitchens/ - try it!